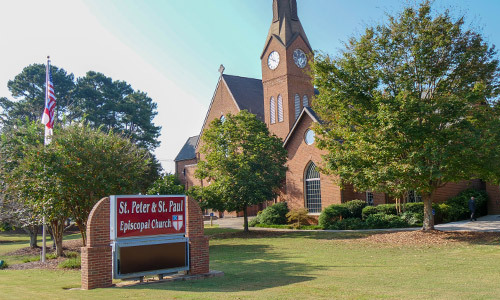 The St. Clare Chapter of the Order of the Daughters of the King at St. Peter and St. Paul invite you to get to know us. 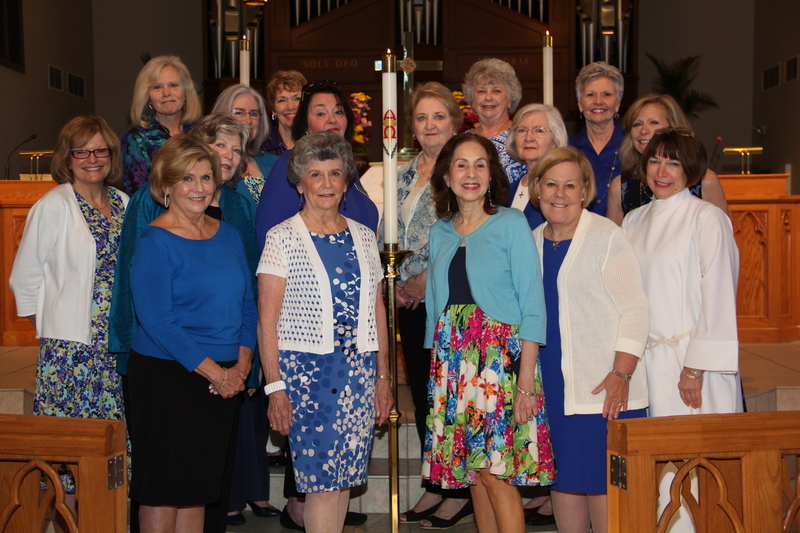 Who We Are – The Daughters of the King is an Order for women who are communicants of the Episcopal Church. Members undertake a Rule of Life, incorporating the Rule of Prayer and the Rule of Service. By reaffirmation of the promises made at Confirmation, a Daughter pledges herself to a life-long program of prayer, service and evangelism, dedicated to the spread of Christ’s Kingdom and the strengthening of the spiritual life of her parish. Our Mission – To Spread Christ’s Kingdom through prayer, service and evangelism. Our Vision – Empowered by the Holy Spirit, Daughters seek to know Jesus Christ and to make Him know to others and to reflect God’s love throughout the world. Our Rule of Life – As Daughters we undertake a Rule of Life, which can be thought of as a covenant between God and ourselves. It help us to focus on our walk with Jesus Christ. Our Rule of Life consists of a Rule of Prayer and a Rule of Service. Our Rule of Prayer – Daughters seek to grow and deepen their relationship with God through the Rule of Prayer. We fulfill this vow by praying daily for unity in Christ’s church, the spread of Christ’s kingdom, God’s blessing upon members of our chapter and our clergy and the spiritual growth of our parish. Our Rule of Service – Daughters are dedicated to fulfill their baptismal vows as they strive to be Christ’s faithful servants by participating in worship and study and by assisting clergy in the ourtreach and work of the church. The Motto of the Order – For His Sake… I am but one, but I am one. I cannot do everything, but I can do something. What I can do, I ought to do. What I ought to do, by the grace of God I will do. Lord, what will you have me do? About The Cross – The emblem of the Order is in the form of a modified Greek fleury cross inscribed in Latin, Magnanimiter Crucem Sustine, the watchword of the Order, meaning “With heart, mind and spirit uphold and bear the cross.” At the base of the cross are the letters “FHS,” initials that stand for the Motto of the Order: “For His Sake…” During induction, the new Daughter receives her cross which she is to wear at all times.